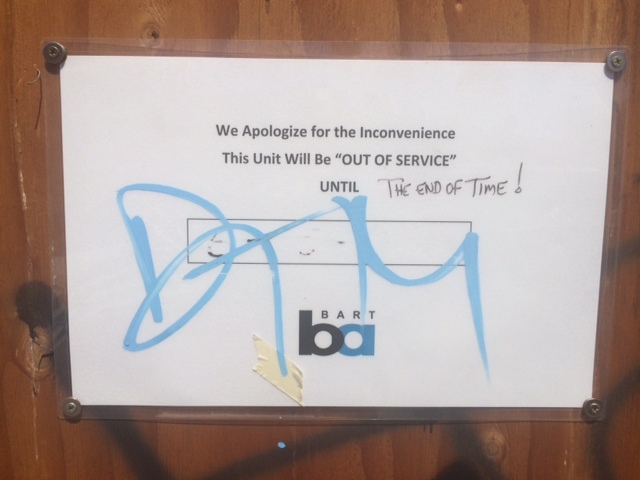 Will they ever fix the 24th St Bart escalator? Out of service until THE END OF TIME! Out of service until THE END OF TIME! I always remarked to myself how there seems to be zero progress being made on fixing the 24th St Bart station SW corner escalator. I see I’m not the only one who thinks so… What’s wrong with this country?